Spruce up your classroom and kick up the fun with brand new combo packs of Terrific Trimmers® and Bolder Borders®, ready to brighten your walls, create eye-popping displays, enhance themed events, and more. Layer patterns on solids, sparkles, or metallics for extra WOW! 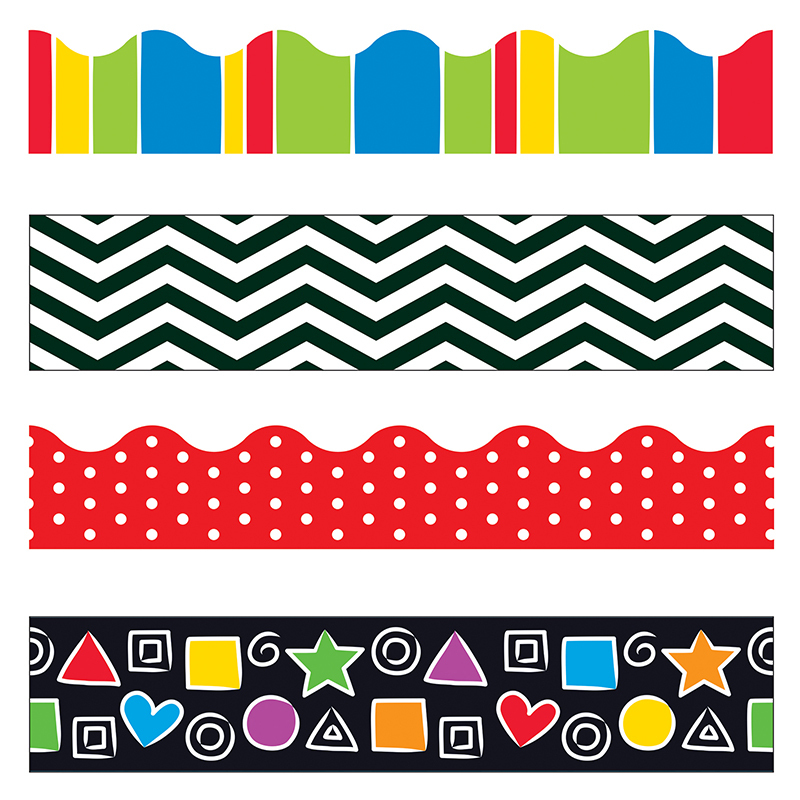 Includes Stripe-tacular Cheerful Terrific Trimmers®, Snazzy Shapes Bolder Borders®, Looking Sharp Black Bolder Borders®, and Polka Dots Red Terrific Trimmers®. 149 1/2' total.